Perth’s most popular annual festival – and third biggest Fringe in the world – is a time when the city comes alive with the biggest variety of events happening across 138 venues and performance spaces all over Perth from 18 January to 17 February. Fringe WorldFestival Director, Amber Hasler said the 2019 edition promised to deliver a smorgasbord of the hilarious and the heart-stopping and the surprising and wonderful. “Last year’s Fringe was our biggest yet - we had close to a million attendances and we were so overjoyed at how much people loved going on a Fringe binge!” Ms Hasler said. “This year’s program is heavy on a host of Fringe favourites that are returning after sell out seasons, plus new shows that will delight Fringe fans”. “Our artists are the heart of Fringe and we encourage everyone to explore the program, get tickets and support our amazing performers. Last year’s FRINGE WORLD delivered more than $8.6 million in gross box office returns to artists, proving that the Festival is the largest and most supportive performance platform in the state”. Between the City and Northbridge is Fringe’s newest hub, Yagan Square featuring Le Aerial, comedy hypnotist Matt Hale's Feelgood Factory, Matt Tarrant: More Unsolved, Gran in a Van, YUMMY Deluxe and Lucy Peach’s My Greatest Period Ever. Don’t be a square, head to this central location for a jam-packed program of comedy, circus, cabaret and more. Just down the road is Perth’s favourite Fringe playground, The Pleasure Garden in Northbridge, featuring the biggest variety of shows in the Fringe. It’s the perfect place to enjoy Perth’s balmy summer evenings with friends or family, with busker entertainment every night, free performances from everyone’s favourite FRINGE WORLD Mermaids. Must see shows at The Pleasure Garden include circus sensation Rouge, absurdist funny man Sam Simmons: 26 Things You’ve Been Doing Wrong with San Simmons, and the return of FRINGE WORLD award winners Djuki Mala with their infectious fusion of traditional dance and pop culture. Betty Grumble returns to Fringe with her protest party LOVE & ANGER and make sure you check out the world premiere of Tony Galati the Musical, inspired by the life story of perthonality and farmer of Spudshed fame. Northbridge is also home to Fringe Central at the Perth Cultural Centre and The Ice Cream Factory. The Ice Cream Factory is where you can witness the large scale, high risk entertainment of Fuego Carnal in a custom-built venue. Those with more of a cheeky streak can catch the return of the adults-only antics in the super saucy and hugely popular cabaret style Club Swizzle, which never fails to leave audiences blushing with a cheeky grin. Outside of the hubs, there are hundreds of quality Fringe shows taking place in new and fabulous venues all over the city and Northbridge, including a big program at Ace’s Cabaret at Downstairs at the Maj; The Blue Room’s handpicked theatre and performance program Summer Nights; while comedy stars at the State Theatre Centre and the effervescent Blanc de Blanc returns for a new season at The Pear Tree on William Street. Of course, FRINGE WORLD’s reach extends far beyond the Perth CBD with the Festival providing the perfect excuse to explore the ‘burbs and beyond! Returning for bigger and better programs in 2019 are Scarborough’s Sunset Veranda and Midland’s Pickled Swan. There are even more amazing programs at Subi-Licious in Subiaco, Inglewood’s Monday night markets will be getting Fringe-y with Fr'Inglewood free variety shows, Leederville’s Leedy-Pallooza returns, and there’s a big program in Fremantle to boot! Those in the regions can also get their taste of Fringe with a bigger program of Funtaviain Geraldton and the Outer Fringe tour of regional WA is back, after a year hiatus, set to visit Merriden, Northam, Ravensthorpe and Katanning with Fringe variety shows in February. Thanks to the City of Perth, FRINGE WORLD 2019 has free and family-friendly weekend events throughout the Festival. Fringe Fridays at the Twilight Hawkers Market combine amazing food with some of the world’s best buskers performing at Forrest Place whileFringe Sundays offer chilled vibes, tasters and teasers of some of the best shows Fringe has to offer this year. With an average ticket price of $25 and a range of fabulous free community events, Fringe World is accessible to everyone. The program features artists from Australia and all over the world but just over half of the program is from Western Australian artists. Fringe World and Principal Partner Woodside shine a light on our incredible local artists through the Homegrown Heroes program and we encourage everyone to see at least one local show this Fringe. 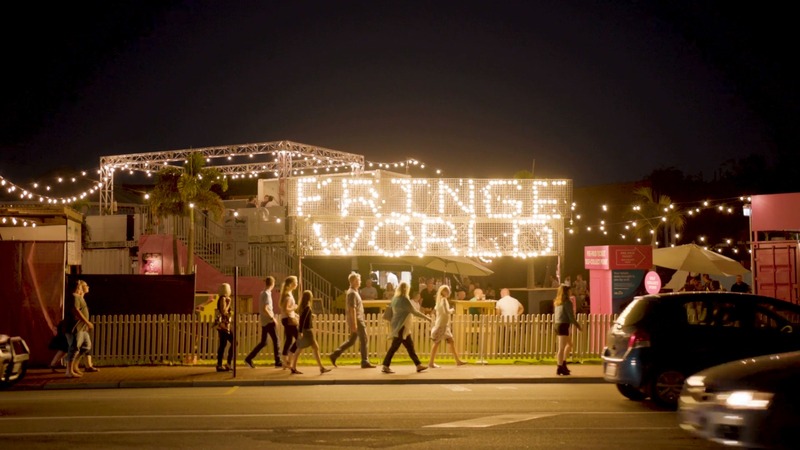 The full Fringe World Festival 2019 program, tickets, gift vouchers and general information on all things Fringe can be found at fringeworld.com.au from today.